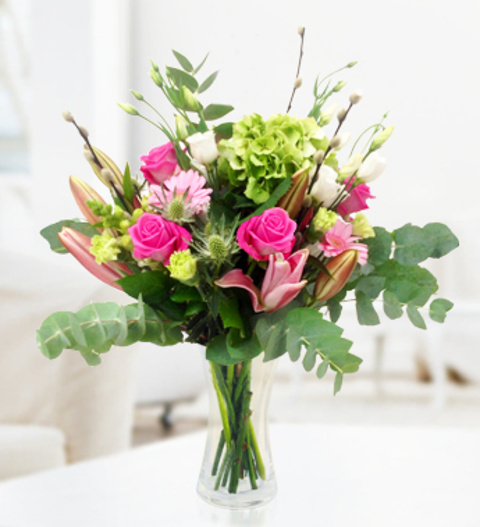 A delightful bouquet with premium pink roses, scented lilies and pretty germini. A true 'Floral Ovation' with striking greens and fresh blooms complete this gift. The arrangement is skilfully arranged by our talented British Florists and is hand delivered direct to your recipient. Order before 3pm for same day delivery.